On our trip to the Hunter Valley and Nelson Bay a week ago we went on a winery tour with “Aussie Wine Tours”. The small tour bus was filled to the last place. The plan for the day was to visit Brokenwood, Ivanhoe, Briar Ridge, Iron Gate and Kevin Sobels with lunch inbetween and a trip to the chocolate and cheese factories at the end. Brokenwood offered a tasting of a broad range of their low to medium budget wines. I was surprised to find Italian type wines. 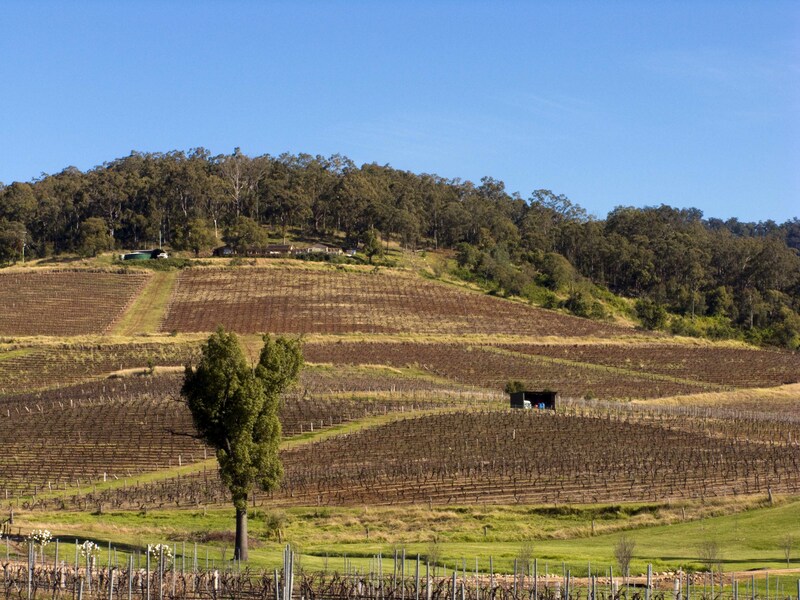 The Nebbiolo is grown on a vineyard in Victoria. For my taste the tannins were still a bit too dominant, but all in all a nice change to the dominant varieties in Australia. The Sangoviese (grown in McLaren Vale, if I remember correctly) was my personal favourite of the reds we tasted. Another wine to mention is the F.S.W (Fortified Sweet Wine) dessert wine. Very brandy like, smooth in taste. I enjoyed the tasting at Ivanhoe less than the first one, maybe also because the whole atmosphere was not as pleasant with us being lined up on benches listening to what was noticeably a practiced explanation. I think I would prefer to visit this winery not as part of a group but rather at the extended bar for unannounced visitors. 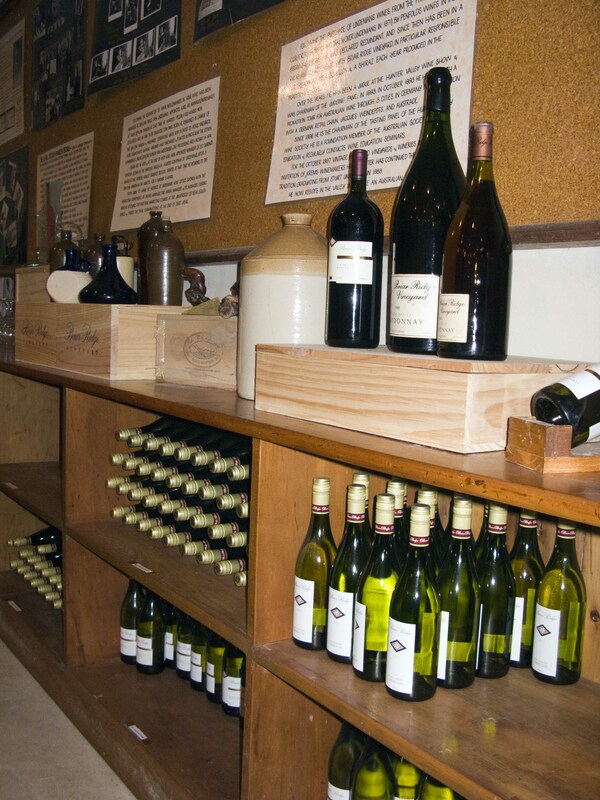 Briar Ridge was again a more pleasant experience, the tasting room with large tables and bottles of old vintages along the walls more inviting. I had to realise that I am really not into rosé wines unless it is a hot summer day, but expect for that tasting I was very happy with the range covered by the tasting. The early harvest semillon sauvignon blanc was a pleasant surprise, and the cold soaked cabernet sauvignon nicely mild in its tannins for a wine of its vintage (2005). After the group tasting I also tried the Signature range Shiraz (2006) and Cabernet Sauvignon (2005) and took some bottles with me – both need at least a year or two of cellaring, but are well worth it. After lunch we headed on to Iron Gate Estate. Apart from the nice building at a terrific location there is not too much to mention. I liked the 2000 Shiraz best. The same is valid for the visit at Kevin Sobels. We were rushed through the tasting because another group was waiting, which did not really improve my opinion on this last wine experience of the day. The next morning before driving on to Nelson Bay we visited the cellar door of Peterson wines. I have mentioned the Back Block shiraz a few times in my blog, and that day it was finally time to see where it is coming from. And to take home a few bottles… The Back Block Shiraz is almost matched by the same variety grown in McLaren Vale and especially also by the Barossa shiraz, both very nice wines too. 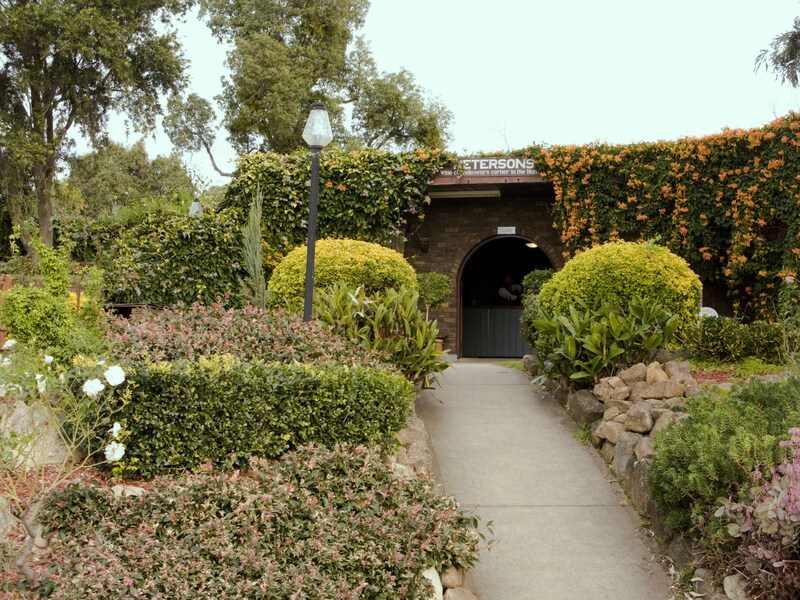 I am certainly a bit biased, but if you go to Hunter Valley and want to taste some truly good wines it is a good idea to see the cellar door of Petersons. This entry was posted on July 22, 2008 at 7:08 pm and is filed under Food and Wine, Wine. You can follow any responses to this entry through the RSS 2.0 feed. You can leave a response, or trackback from your own site. Nice review of some of the wineries from the Hunter, i can totally agree with the Peterson’s range of wines, some of them are spectacular, if you are ever in Mudgee, NSW, visit Peterson’s there (same company), a lot of the bigger reds from originate from the Mudgee vines. I used to work for the Peterson company and now I just blog about wine to keep in touch (had to get a “real” job!). Gary Reed, the winemaker has a special touch when it comes to reds. And you’re right about the Barossa and McLaren Vales, I won’t be drinking them too soon. They need a very special occasion.